Books: Book Club is reading “The Silver Star” by Jeanette Walls. It may sound familiar because she wrote the book club classic “The Glass Castle”. Great story so far about two girls in a not so great situation with their mom and they find a new path to take. For non-fiction, I have The Doritos Effect by Mark Schatzker which talks about how our food doesn’t taste the same as it did 80 years ago. I also have “Thresholds” by Sherre Hirsch – one of the very few female rabbis in the United States. She discusses using those moments that make us fearful – at the threshold where change happens – to turn them around and thrive. Recipe: This is my go-to recipe on exercise days. Lots of carbs, protein and vitamins. More importantly, it keeps me full until lunch time. You can make them ahead in the fridge and pop it into the oven that morning while you shower. Or, bake it the morning before and just heat it up in the microwave for breakfast. You can mix up the fruit however you like! We love fresh blueberries when they are in season, peaches from the freezer or even bananas any time of year. Cinnamon can be swapped out for lemon powder or orange zest to compliment the strawberries or blueberries. I find it so comforting to have a warm bowl of oatmeal on a chilly morning! 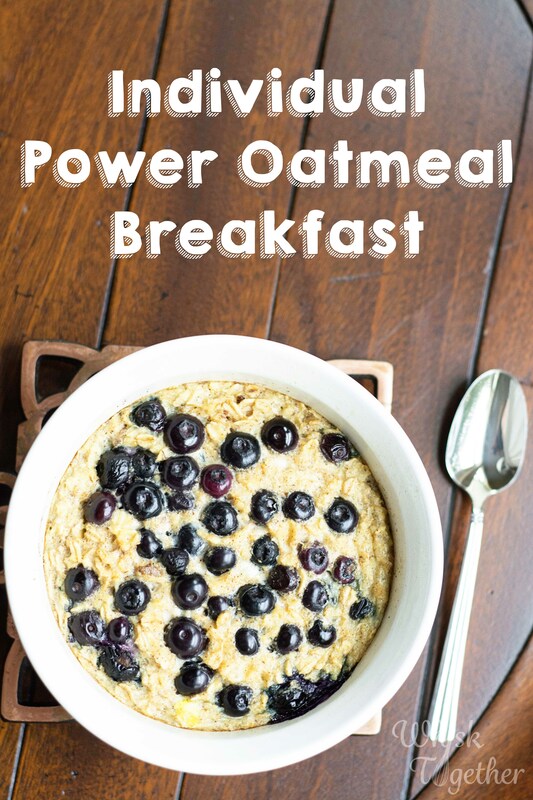 This recipe is an adaption of the baked oatmeal we have been eating about 4-5 times per month each month. I could make my own breakfast while the kids slept. 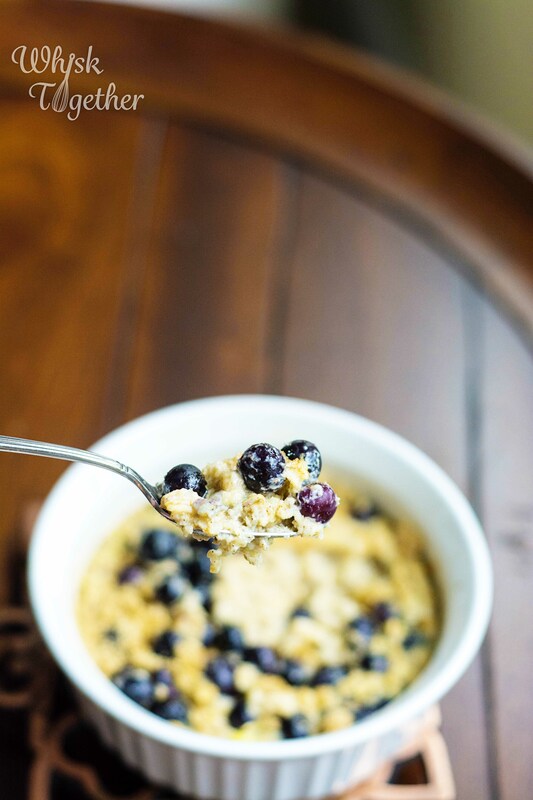 For the full recipe, I normally double our baked blueberry oatmeal and eat it throughout the week. Preheat oven to 375 degrees. Spray a small 2 cup ceramic baking dish (or Corningware) with cooking spray. 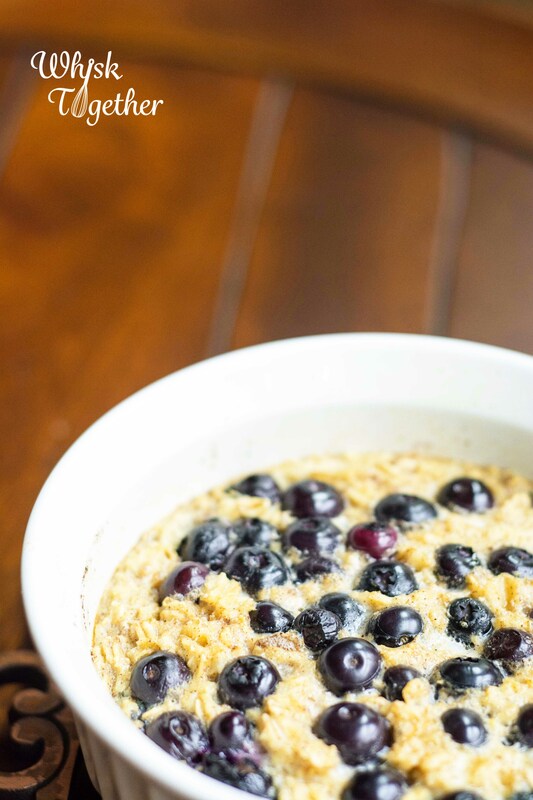 Sprinkle half the blueberries on the bottom. 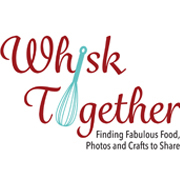 In a bowl, whisk together the dry stuff: oats, cinnamon, baking powder, and salt. Add to the same bowl the wet stuff: milk, egg and vanilla. Stir to combine. Pour into the baking dish. Top with remaining blueberries and nuts if desired. Bake for 20-25 minutes. The center should be set and not jiggly. Sprinkle with brown sugar on top. You have a couple of female rabbis right there in STL too! Going to check out that book. Interesting! I had no idea.